I am going to venture out of my normal sphere and probably bring down a ton of criticism on my head. But even so I am going to recommend an article from National; Geographic that looks at how much more productive the Dutch have made their agriculture. And to its credit the focus of the article is on sustainability. One of the reasons that I am concerned enough to court this criticism is that in this region we do not seem to have done enough to protect the Agricultural Land Reserve – especially from the depredations of the Port (which has been covered extensively here). But we also seem to suffer from an urban purblindness. Agriculture is a business that grows food. It is not necessarily one that preserves our preferred picture of the countryside, which seems to be driven by a romantic association with the picturesque countryside of our preferred artists – Gainsborough comes to mind but that’s because I’m English. Even in an era which has taken to mechanisation of many tasks – just to make up for the lack of willingness of local people to engage in backbreaking repetitive tasks, and the unwillingness to allow for enough people who would do that work across our borders. We would still like our food sources to be local – but not based on greenhouses. One of the earliest lessons I learned as Chair of the then BC Energy Aware Committee (now the Community Energy Association) was that people in Delta – residents and the people they elected – HATE greenhouses. They somehow retain the illusion that the food producing business is going to be green fields and peasants sleeping under hay stacks. In fact one careful bit of scheduling meant that I presented an award to Delta council for allowing a greenhouse to utilise collected methane from the Vancouver landfill to provide both energy and CO2 for its operations on the same evening that they were considering its expansion. The people who now live in Delta do so because it is cheaper than Vancouver and there is a freeway that connect them to employment centres there and in Burnaby, New West and Annacis Island. Transit has never been good enough in Delta, even in the denser developed across the boundary to Surrey. And the distances between its centres make for some long trips. But they also like the landscape benefits of the Green Zone – and would like not have a greenhouse with its lights shining all night on their doorsteps. The Dutch appear to be a bit more realistic – but I am pretty sure they have people breathing down the necks of the chicken and milk producers illustrated in the story. There is also an interesting take on the European attitude to GMOs. BC is a huge province, but very little of it is capable of producing food. The bits that are good for food production have been vanishing under development. Only five per cent of B.C. is in the Agricultural Land Reserve (ALR). It was supposed to stop that development but it has been under constant attack – mostly from the real estate / development people who argue that it increases house prices. But also from government and its arms length agencies who have been encroaching on it for dams (Site C being the worst but not the only offender) highway expansions, port expansion, industrial development and in Delta a huge mall and housing development as part of the deal with the Tsawwassen First Nation. The places we get food from now – mostly California – are going to be unable to provide what we need as they have already depleted their water table. The aquifers are not getting refreshed and the rivers are drying up, and the climate is getting hotter. That means we need to be pursuing a much more aggressive food policy which includes protecting the little productive land we have left and making it much more productive in the process – even if that does cut down its landscape value. POSTSCRIPT: I just did a quick search on the tags ALR and “agricultural land reserve” because – as usual – once I have written something I think I must have done the same thing before. Yup. I’m not boring you, am I? The City of Vancouver sends me this in my email. I think my readership will be interested in it and I am pretty sure that the City will be pleased if it reaches a wider audience. Though I would dearly love to be an Arbutus Champion I am going to be in the Panama Canal then so I hope some of you will be there to take my place. Arbutus Greenway Design Jam – We Need Arbutus Champions to Help Us Design the Future Arbutus Greenway! Are you passionate about public spaces? Do you want to make friends over a fun and inspiring weekend? Would you love to immerse yourself in all things Arbutus Greenway? Apply to become an Arbutus Champion! During the Arbutus Greenway Design Jam, Arbutus Champions will participate in a collaborative workshop to help develop draft designs for the future Arbutus Greenway. There is no experience required to be an Arbutus Champion, but applicants must be available for all four days of the Design Jam, and need to have a passion for the Arbutus Greenway and public space. Applications will be accepted until September 22, so don’t wait! Arbutus Greenway staff will be out and about on the temporary path, around the city, and at community events throughout the summer. Make sure to check our website and social media for more events and Arbutus Greetings Pop-Ups. Use the hashtag #ArbutusGreenway for a chance to be highlighted in our newsletter! The Arbutus Greenway is a future, north-south transportation corridor that, once completed, will connect False Creek to the Fraser River. We recently began construction of new crossings at West Broadway and West 12th Avenue. These new crossings will make the greenway much safer and easier to use in this area. They will be available for use in approximately 8 weeks. Looking forward, we will make it easier and safer to cross South West Marine Drive from the Arbutus Greenway by introducing a new crossing at this intersection. We are working on this design now, and we hope to deliver this improvement in the coming months. This picture was submitted to a Flickr group I created called Places Without Cars. It is without doubt the picture that I have been most pleased to see in the submissions. Fortunately the user (who goes by the sobriquet “Cheesyfeet” but still requires attribution) has a Creative Commons license on this picture. 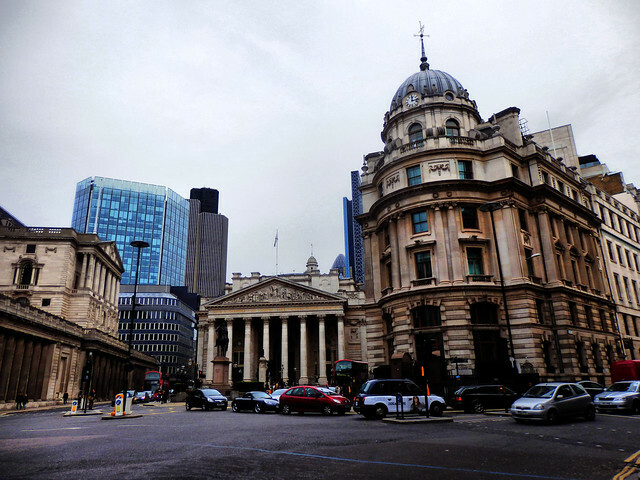 “Bank Junction, right in the middle of the City of London. He also uses Strava and provides a link which identifies him and the route he uses. Like me he is an Essex lad! 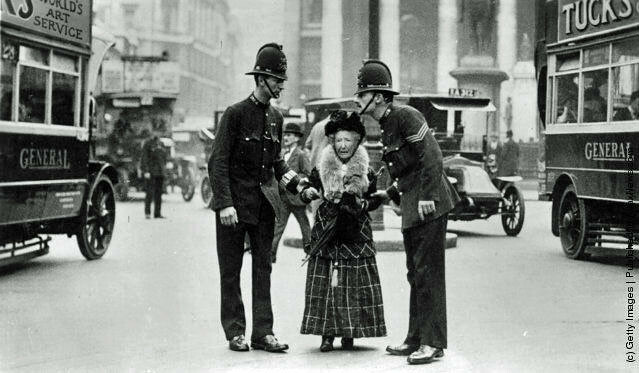 An early 1920s scene at the Bank in the City of London, a seemingly bemused elderly lady in a place she should not have been. 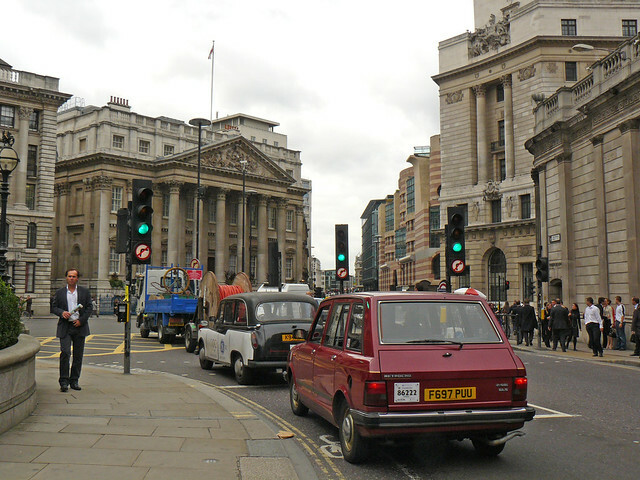 The Bank junction is still one of the busiest in central London, traffic comes at you from all directions. From The Telegraph in the 1950s – and how I remember it. By the way in searching for these images I have learned that the closure is an 18 month experiment. I hope it is made permanent! 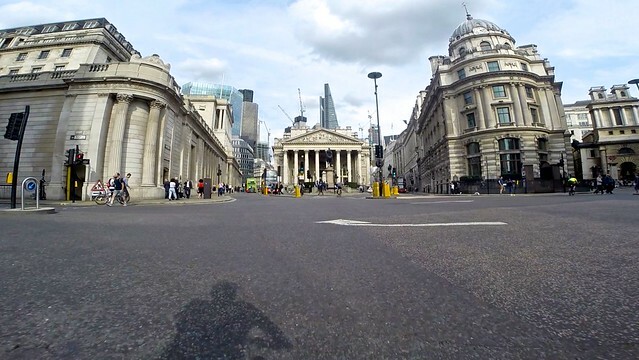 Threadneedle Street – in front of the Bank of England – is not labeled on this screencap from Google maps. The top picture was taken from in front of Mansion House looking east. This was, of course, a major plank for the NDP election campaign. I am referring to the CBC story, but it will be all over mainstream media. Which is true, and fair enough as far as it goes, but it does not go far enough. The problem is based in the policies of the previous government, which held that tolls were acceptable as long as there was a free alternative. But they had also secured votes in the interior by cancelling the tolls on the Coquihalla. Because the alternative was much slower than the toll road. There is also the Vancouver precedent of the Lions’ Gate Bridge, which was built by developers and had a toll until it was taken over by the province. But the other problem was the Public Private Partnership model used by the BC Liberals, which I have lamented here more than once. It deliberately kept the revenue risk in the public sector. Taxpayers were on the hook if traffic did not reach expectations – which was exactly the case with both the Port Mann and the Golden Ears. In the case of the Port Mann the congestion on the aging, overdue for replacement, Patullo Bridge – which the province had downloaded to the GVTA along with the Knight Street and Canoe Pass bridges. They were also long overdue for strengthening – the former due to the seismic risk, the latter to satisfy some potato distributor who thought Westham Island was a good place for a distribution centre. In the case of the Golden Ears, money that Translink was collecting that ought to have gone to improving transit service was diverted to the pockets of the private sector partners in the P3. The reason that the forecasts were so far out of whack is also something I have covered here. When market research surveys were done people were asked if they were willing to pay tolls – having first been told that they would save time by using the new bridges. Of course respondents would say yes to a question framed that way: any other response would sound stupid. But the reality is what people do when faced with a toll is that they seem to be more than willing to put up with the delay if they can keep the money for other needs. Also, not stupid at all. So yes tolls are unpopular but also the way the BC Liberals used tolls was exceptionally unfair. Money going to investors in the Golden Ears should have been used to retain the bus pass for the low income transit users, and to increase both HandyDART and bus service in lower density parts of the region. The problem we now face is that picture at the top I have taken from the CBC. The truth podium will now be trotted out as soon as Horgan – or someone from Translink – dares mention road user pricing, which is not really the same thing as a bridge toll with a toll free alternative. Congestion pricing imposes a fee for using roads when so many people want to drive that no-one gets very far, very fast. The alternatives are walking, cycling and transit – which are either free or low cost, but also much more efficient users of road space than the typical single occupant vehicle. And it is pricing that existing road space, which is so valuable at peak periods, to achieve greater efficiency that policy is aimed at, not lining the pockets of capitalist profiteers. The fact that the funds then get used to build exclusive, separated bus and bike lanes, better sidewalks and public spaces as well as increasing transit service is a happy but very necessary outcome. Road pricing cuts down the attraction of driving but increases overall mobility by far more than the lost car trips. Less air pollution, noise, loss of lives and injuries are all bonuses! One of the things that this story also illustrates nicely is that there is no GreenNDP coalition. The two partners have a very different approach. “It’s unfortunate that the government has decided to proceed with this reckless policy,” Weaver said in a press release. “Moreover, making such a massive addition to our debt risks raising interest on all debt, which ultimately prevents government from being able to invest more in important social programs,” Weaver said. In contrast, Horgan insisted the loss of toll revenue shouldn’t affect the province’s borrowing costs. But the story then tries to point out that “road pricing is still on the table”. But I am not so sure. Maybe now that the “need” for a referendum has been removed, perhaps the knee jerk response of the electorate to catch phrases, sound bites and dog whistles will not matter as much as it did last time. But I think the appeal of “Toll Free BC” will have much more resonance than reuse of the congestion gif – even on many blogs. I was reading this article by Nina Feldman in Next City. 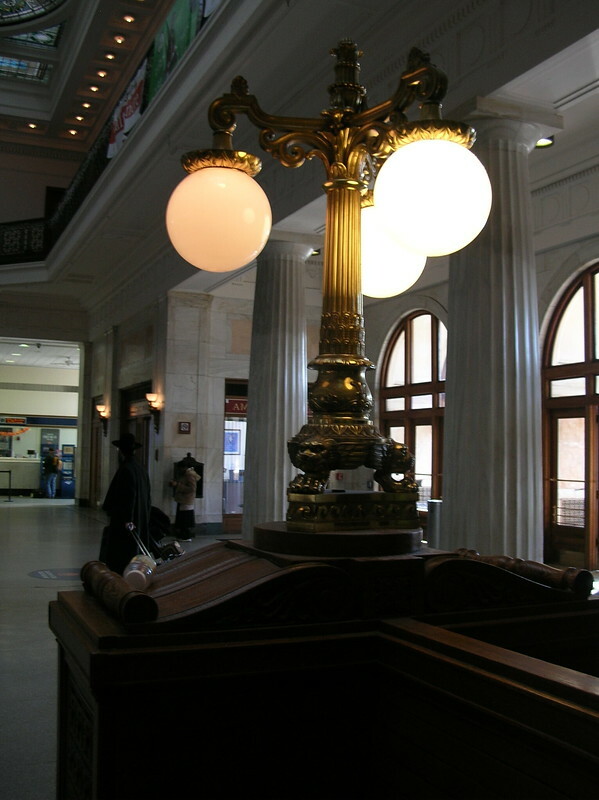 It is about a group that is restoring the abandoned station in Gary Indiana. 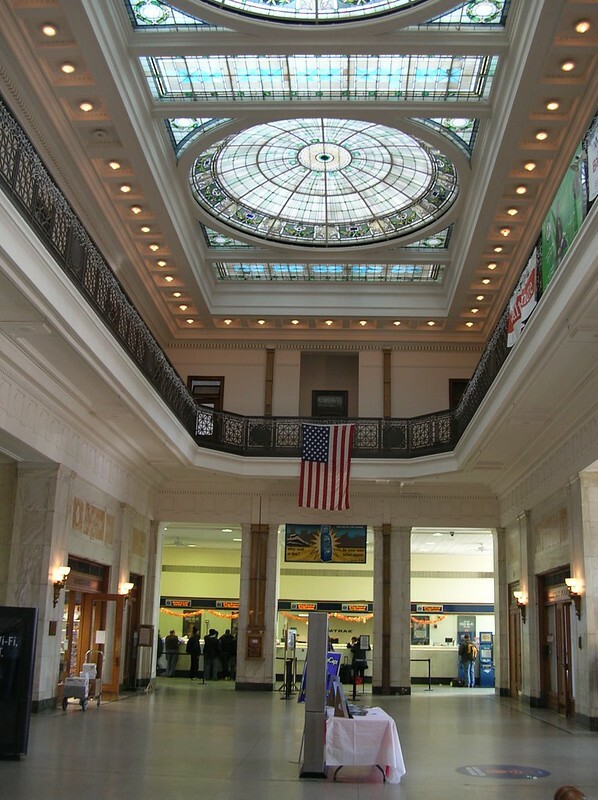 It reminded me of the Pennsylvania station in Baltimore, which has not so much been restored, or preserved, as simply remains much in its original condition. 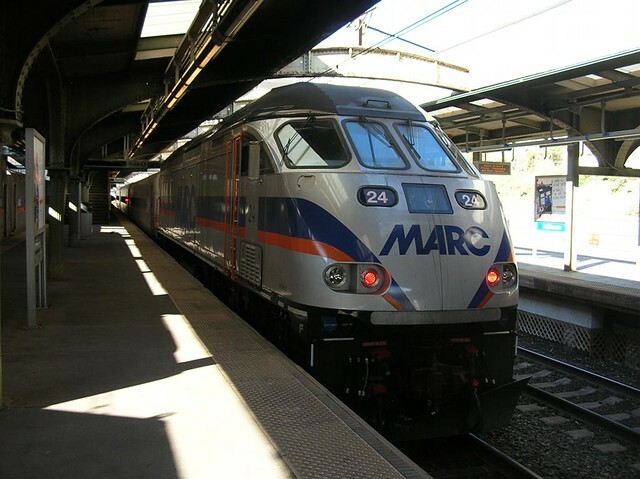 We had arrived from Washington DC on the MARC train and proceeded to the cruise ship terminal by taxi. I had thought I had taken more pictures – but my memory played me false. I wish now that I had taken more time to take more pictures. But I suppose that the taxi was waiting. Historic preservation draws critics from both sides of the aisle. Republican lawmakers in the Midwest criticize historic districts for infringing on homeowners’ rights. Affordable housing advocates argue that historic designations further wealth inequality by preventing affordable housing from being developed in high-opportunity neighborhoods. Redevelopment of historical landmarks in areas where property values are creeping up can push neighborhoods over the tipping point — at once increasing the viability and economic activity in the area, while often also displacing low-income residents. Preservationists have responded with data that show how saving old buildings in neighborhoods has helped with diversity, affordability and opportunity.